Foam vs Spring Mattress Guide 2019: Which Is Best For Your Needs? 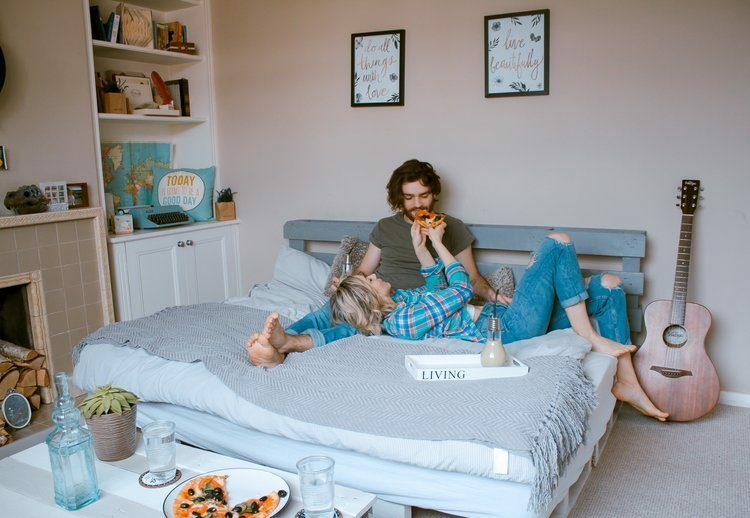 Home » Mattress » Foam vs Spring Mattress Guide 2019: Choosing Between A Foam or Innerspring Bed – Which is Best? Buying a new mattress? Not sure whether you should choose an all-foam bed or one built with springs? In this article, we'll break down the differences between the two and help you find the best one for your sleep needs. Foam vs Spring: Which Is Best? Why Buy a Foam Mattress? Why Not Buy a Foam Mattress? Why Buy a Spring Mattress? Why Not Buy a Spring Mattress? Final Thoughts: Spring Mattress vs Foam Mattress – Which is Best? When buying a new mattress, one of the first choices you will need to make is whether to buy a foam or spring mattress. Most types of mattress fall into these two broad categories and there are a lot of pros and cons for each option. Things like price, comfort, firmness, pressure-relief, and motion transfer can all affect which type of mattress is best suited to your sleeping preferences – and these two types of mattresses provide a wide range of options. Before you make your decision, read our comprehensive guide to foam vs spring mattresses to help you choose the best one for you. Foam mattresses can be separated into three broad categories: memory foam, polyurethane foam, and foam latex. Memory foam is constructed with polyurethane and other added materials, to give it viscoelastic properties that create a sinking sensation as the foam contours your body to provide pressure relief. Memory foam has a slow responsiveness, is extremely versatile, and excellent at providing support to back and joint pains. Polyurethane foam is similar to memory foam, but without the added materials, giving it a more ‘springy’ feel. This makes polyurethane foam a popular layer to add to both foam and innerspring mattresses for support and added comfort. Foam latex offers excellent support and pressure relief and can be made with synthetic materials or with natural latex for a more eco-friendly option. There are two different manufacturing processes for making latex mattresses: the Dunlop and the Talalay process. Spring mattresses, on the other hand, are a more traditional type of mattress compared to all- foam mattresses. They contain metal coils that are suspended inside the mattress and wrapped in fabric or some kind of foam and are often topped with a quilted top layer for added comfort. A quality spring mattress can be comfortable for anyone – but they are more of a ‘one size fits all’ mattress type compared to foam, which contours and compresses to your specific body weight and shape. Hybrid mattresses are marketed as ‘the best of both worlds’, featuring the most coveted attributes of both foam and innerspring mattresses. Hybrid mattresses are typically constructed with a layer or two of innerspring coils and then one or more layers of foam that could include memory foam, polyurethane foam, latex, or a combination of the three. Many popular innerspring mattresses are actually hybrids and most high-quality spring mattresses featuring a layer or more of foam, designed to provide a more comfortable and contouring sleeping environment than a traditional spring mattress. In the examples given below, the majority of the mattresses listed are in fact hybrid mattresses, as these are designed to provide both the core stability and durability of an innerspring mattress, while also offering the motion transfer absorption and cushioning comfort of foam. Memory foam mattresses are often constructed in several layers to add different features to the mattress. These layers can include a supportive base layer, a denser layer of memory foam to offer a firmer feel and deep pressure relief to those with back pain, or a cooling layer to help alleviate the hotter sleeping environment foam mattresses tend to create. 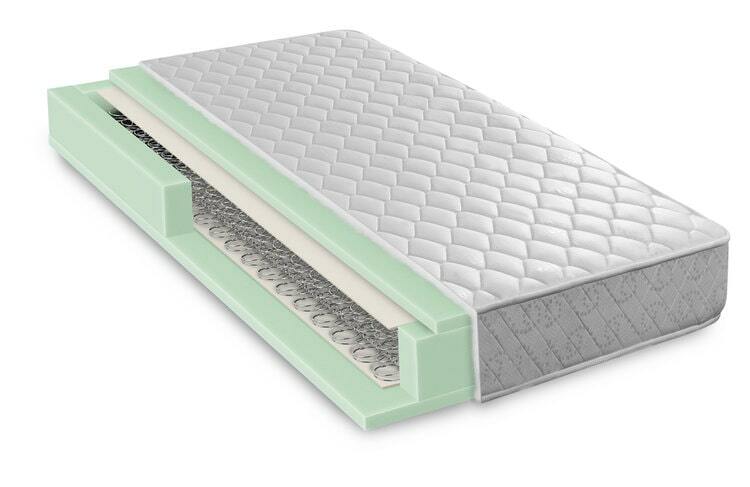 Foam latex mattresses can be made with two different methods: the Dunlop and the Talalay process. The Dunlop process is the more traditional method of making latex mattresses and it is also less expensive, as it involves fewer steps than the Talalay process. Foam mattresses, whether memory foam or latex, are extremely versatile and can be manufactured in a wide range of firmness levels, depending on their materials. A firm memory foam mattress, for example, provides the perfect, supportive base to help relieve pressure for anyone with back, shoulder or neck pain. Likewise, a medium-firm memory foam mattress can be the ideal supportive-yet-soft surface for anyone who tends to sleep in a variety of positions. Foam mattresses are described as feeling like millions of little springs supporting you and are extremely effective at distributing body weight evenly for a very comfortable feel. These mattresses can reduce pressure points and provide a level of relief for the hips, back, neck, and shoulders that is unparalleled in spring mattresses. As foam mattresses can be manufactured with a range of firmness levels, you can usually find an option that suits you, whether you prefer a firmer mattress because you’re a back or side sleeper, or a softer feel for sleeping on your front. Perhaps the biggest downside of foam mattresses, especially memory foam, is their tendency to trap heat, which can create an uncomfortable sleeping environment for anyone in a warmer climate or those who tend to overheat when sleeping. Although many foam mattresses are infused with cooling gel or graphite to help wick excess heat away from the body, this is still a factor worth bearing in mind. Foam mattresses are excellent at reducing motion transfer, as the foam has a slow response time and contours to your body individually, meaning you can sleep soundly, even when your partner is moving around next to you. Latex mattresses are the most eco-friendly type of foam mattress available – but only if you buy a mattress made with natural latex, as opposed to synthetic latex. If eco-friendliness is a concern for you, it’s worth checking how your mattress is manufactured before purchasing. Memory foam mattresses are not the most eco-friendly mattress, but you can look for brands that have the CertiPUR-US certification, confirming that the foam is made without ozone depleters, PBDEs, TDCPP flame retardants, mercury, lead, or formaldehyde. Foam mattresses do tend to be more expensive than traditional mattresses and may not be the best option if you are mattress shopping on a budget. However, the higher price does come with some great features, including a long lifespan (and often a long warranty), superior pressure relief, and excellent comfort. Spring mattresses are usually constructed from pocketed coils, wrapped in fabric. The coils run through the center of the mattress, providing the majority of the structure, support, and bounce it provides. The type of spring, the height of the spring, the number of springs, and how they are connected, can all affect the overall feel of an innerspring mattress. The coils are often wrapped in a foam layer, designed to add an additional layer of comfort to the mattress. Often, this foam layer will have three sections within it: an insulator designed to keep the mattress core in place, a middle layer to cover the insulator, and the quilt of the mattress to provide a soft and breathable surface. Bonnell coils: These are made in an hourglass shape and are laced together. Offset coils: Instead of having a total hourglass shape, offset coils are flattened on the top and bottom convolutions and are designed to conform to the body. Pocketed coils: Also known as Marshall coils, this design features springs that are individually encased in a fabric or foam layer and act independently of each other to provide a more ‘hugging’ feel. Continuous coil: This is where one piece of metal is used for all springs. The number of coils used and the gauge of the coils all affect how soft, medium, or firm a spring mattress will be. The fewer coils within the mattress, the thicker the spring. A 12-gauge coil is the thickest and will provide the firmest feel for a spring mattress. The springs push back against your body with the same force your body weight applies to the mattress, so it’s important to remember what may feel like a ‘firm’ mattress for one person may feel completely different for someone of a different weight. Spring mattresses are known for having a pleasantly comfortable and bouncy feel, however, that means that these type of mattresses are not as effective at distributing body weight and providing pressure point relief as foam mattresses. As the springs push back against your body weight, the areas of your body that carry more weight (i.e. your hips and shoulders) will push into the mattress more than others. If you often struggle with body aches and joint pain, an all-spring mattress may not be the best choice for providing a supportive mattress that relieves pressure on your body as you sleep. In this case, a hybrid mattress with cushioning layers above the coils will likely be better for you. If you are looking for a mattress with minimal motion transfer, a spring mattress may not be the best option. While springs can give a mattress a supportive feel, they can also result in a lot of motion transfer if you are sharing the mattress with a partner. Open coil mattresses, such as Bonnell or continuous coil beds, are especially bad for this, as motion rapidly transfers between every coil, so every movement is registered. Pocketed spring coils are better at minimizing motion, but still not as effective as a foam mattress. If you are set on an innerspring mattress, look for one that has pocketed coils or a hybrid mattress with absorbing foam layers to minimize motion transfer. Many innerspring mattresses are made with synthetic materials, which are non-renewable and non-recyclable. Finding an eco-friendly spring mattress can be difficult, as even the mattresses that use plant-based materials are not necessarily biodegradable. All-spring mattresses are some of the cheapest types of mattress you can buy, mainly because they are extremely cheap to manufacture. If you are looking for a mattress on a tight-budget, spring mattresses are a good place to start. Foam mattresses provide a wide range of options when it comes to firmness, feel, and comfort, so you can shop for a mattress that suits your sleeping preferences. If you sleep on your back and prefer a supportive surface to provide pressure relief, a firm latex or memory foam mattress could be the ideal option for you. Likewise, if you prefer to sleep on your front, you can find a soft or medium-firm mattress that will accommodate your needs. Many foam mattresses come with a minimum 10-year warranty and some even have a ‘Forever Warranty’. They are extremely durable for everyday use and are usually responsive to body impressions over time, compared with spring mattresses, which tend to sag faster than their foam counterparts. Having a hypoallergenic mattress is a key priority for many people and this makes foam mattresses a great option. The density of foam makes it impenetrable to dust mites, bacteria, and mould and many foam mattresses are topped with a breathable, hypoallergenic cover to protect against anything getting inside the mattress. The majority of foam mattresses contour and compress under your weight when heated by your body, but this does mean that there can be a lack of airflow within the mattress, resulting in overheating throughout the night. Although many foam mattresses are infused with cooling gel, graphite, or copper, they may not be ideal if you tend to get hot while sleeping. Foam mattresses are a premium type of mattress and they have a price tag to match. While you get a durable, supportive mattress for the price, a foam mattress may not be the best choice if you are on a tight budget. Although foam mattresses come in a wide range of firmness options, some people simply do not like the way foam contours to your body and creates a ‘sinking’ feeling while you sleep. If you are an active sleeper and find yourself moving around a lot throughout the night, foam’s slower response time may bother you. Simple spring mattresses are generally a budget-friendly option with hybrids increasing in price depending on the quality and complexity of their layers. If you are shopping for a bargain mattress that won’t be used that often, for example for a guest bedroom, a good quality spring mattress won’t break the bank. Spring mattresses have withstood the test of time and have been relied to provide a comfortable and well-ventilated night’s sleep by people around the world for many years. If you suffer from aches and pains, a basic spring mattress may not be the best choice for alleviating that pain. Unless it is a hybrid, they do not provide pressure relief and, as body weight is not necessarily distributed evenly across the mattress, they may not adequately support pressure points. Spring mattresses will typically begin to sag after 1 – 2 years and have been found to lose up to 16% of their support in the first year alone. Although much cheaper than foam mattresses, spring mattresses are far less durable and will need more maintenance or to be replaced sooner than a foam mattress. Innerspring mattresses have empty space between their springs. This, combined with a soft fabric topping, creates an ideal environment for dust mites, bacteria, and mould. If you are looking for a hypoallergenic mattress for your home, a spring mattress is not the best choice. Overall, it’s fair to say that foam mattresses are more supportive, durable, and comfortable than standard spring mattresses. However, foam mattresses also have the price tag to match their longer lifespan, excellent pressure relief, and other higher-end features. Spring mattresses, on the other hand, provide a comfortable budget option but have less support as a result. For this reason, hybrid mattresses offer an excellent middle ground, with the best features of both types of mattress. If you are shopping for a new mattress, we’d recommend thinking about your priorities first. Are you on a tight budget, or do you prefer a simple, springy bed without sinking layers? If so, looking into a quality spring mattress may be the best option for you. Or, do you often struggle with joint and back pain and want a mattress with cushioning pressure relief and multiple targeted layers? If so, a higher-spec foam mattress may be the best avenue for you. PrevPreviousLatex vs Memory Foam Guide 2018: Which Type of Mattress is Best for You?